In the name of + Jesus. 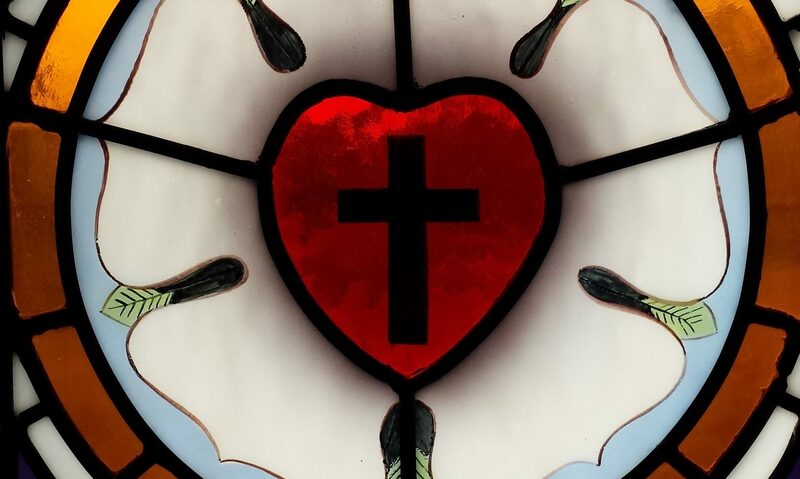 One of the things that distinguishes us Lutherans from the variety of different confessions of the Christian faith is our focus on the proper distinction between the Law and the Gospel. It’s a major part of our confessional heritage, and one of our spiritual fathers in the LCMS, Dr. C. F. W. Walther, wrote a book called The Proper Distinction between Law and Gospel. But there is always a danger that your theology will become a cliché, and that often happens with Law & Gospel. 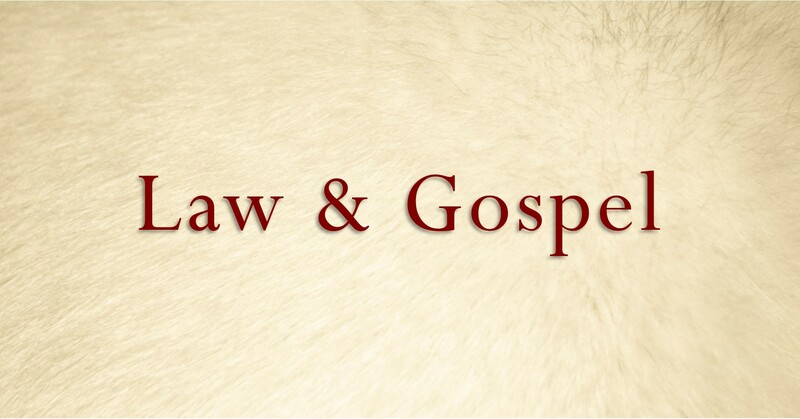 Law & Gospel has the danger of turning into a mathematical formula, so that if you say first a bit of Law, and then follow it with a bit of Gospel, that you’ve made the proper distinction. But that’s not it at all. Law & Gospel isn’t a formula, but a way of reading God’s Word. This is Jesus’ response to the young lawyer: “What is written in the Law?” and, “How do you read it?” (Luke 10:26). It’s the second question that people get hung up on. They give the Law priority over everything. The first part of Paul’s deduction comes from the history of Israel. It’s a human example, drawn from the affairs of household and society. Just as a person writes a will to direct his assets and last wishes—and the law merely serves to make sure the promises made in the will are enacted—so God’s will and testament was first given as a promise to Abraham. The Law—the Ten Commandments, the civil laws, and the ceremonial laws—did not come until much later. Thus, the Promise has temporal priority over the Law. The Law was given to Moses, its mediator, when Israel—at that time a great nation—was delivered from slavery in Egypt, as they wandered in the wilderness, awaiting the delivery of the promised land. It wasn’t just the Ten Commandments. In fact, the Ten Commandments weren’t even the most significant of the laws given to Israel. There were also the civil laws that governed Israel as a people, and the ceremonial laws that governed their worship. It also included the institution of the pilgrimage festivals of Passover, Pentecost, and Tabernacles, which were required of every practicing Jew. There weren’t hard and fast divisions between the moral, civil, and ceremonial laws, either. For instance, the ceremony for healing a leper was also part of restoring the sick to the social order of Israel. But Israel had been a people long before the Law. They got their name from Israel, whose name was changed from Jacob. And he received the promise and blessing from his father Isaac (by some rather duplicitous means), who, in turn, received it from his father, Abraham. Abraham walked with God and spoke with Him face to face and was the first to receive the explicit blessing and promise that all nations would be blessed in his offspring. Now the promises were made to Abraham and to his Descendant. He doesn’t say: “and to the descendants,” in the plural, but in the singular: “and to your Descendant, Who is Christ. Now, I say this: First God confirmed His covenant; and the Law, which came 430 years later, doesn’t set aside and cancel its promise. If we get the inheritance by the Law, we don’t get it by a promise; but God gave it to Abraham by a promise. Why was the Law given? Not to make a people. Not to make believers. Not to make saints. The Law was given because God’s people were wicked. It was given because they didn’t believe. It was given because they grumbled, and rebelled, and broke faith, and chased idols. That’s the thing with sin—if you insist on doing it, God will turn you over to it. He’ll increase your sin. You know how this works, right? You put a child in front of a big red button and give them the commandment, “Don’t press the button,” what do they want to do more than anything else? Press the button. The Law is to show that sin is not an occasional misdeed, but the corruption of our entire nature. St. Paul: Why, then, was the Law given? It was added to arouse transgressions until the Descendant would come to Whom the promise was made. And it was given through angels in the hands of a mediator. A mediator deals with more than one, but God is one. The Law is so that no man, woman, or child would think he or she stands before God righteous. It was given to serve the promise. It was given to drive us to the Descendent, Jesus Christ. That promise came before the Law, and so the Promise has temporal priority over the Law. St. Paul uses the historical illustration to demonstrate something else about the relationship of the Law to the Promise. It’s not just that the Promise preceded the Law in time, but that is also has another kind of priority over the Law. As a matter of focus, a matter of importance, a matter of what is the greater good, the Promise also has priority. The Promise takes precedence over the Law. This does not mean that the Law has no importance. St. Paul writes to the Corinthians that the Law, written on stone, has a certain glory. He also calls it a ministry of death. Nevertheless, it had a glory that made Moses’s face shine with light. No classic text written by men has the ability to make its readers’ faces shine with light. But the Law does. It’s is God’s Law, and therefore it is good. But its goodness ought never to imply that it is in itself the end to which the Promise is the means. It’s not that the Promise leads us into the Law, even though the Promise comes first, and the Law 430 years later. We shouldn’t look at the Law/Gospel (or Law/Promise) distinction as a line—on the left side you start at the Law and then move to the right to get to the Gospel (or the other way around, if you want to be an antinomian and start with the Gospel to get to the Law). The Law isn’t the opposite pole from the Promise; if it was, then the Law would be somehow opposed to God’s Promise. But St. Paul also writes, Is the Law, then, opposed to God’s promise? Never! If a law had been given that could make us alive, it certainly would have given us righteousness. But the Scripture has said that everything is a prisoner of sin, so that the promised blessings might be given to believers through faith in Jesus Christ. This is the subtle art of distinguishing Law and Gospel. It’s Dr. Walther’s twenty-fifth and final thesis on the proper distinction between the two: “the Word of God is not rightly divided when the person teaching it does not allow the Gospel to have a general predominance in his teaching.” The Gospel, or the Promise, brackets the Law. It has priority, and it takes precedence. It has a glory, St. Paul writes to the Corinthians, that far surpasses the first glory, so that it’s as if the first glory—that of the Law—has no glory at all. The glory of the Law is to give way to the glory of the Promise. Like St. John the Baptist, who had to decrease so that Jesus would increase, the Law points us to Christ as the greater glory. Jesus does not give way to Moses. So, St. Paul teaches us that the Promise has the priority over the Law. This is shown in Israel’s history, because the Promise was given to Abraham 430 years before the Law was given. The Law was only to emphasize the nature of sin until the time when Jesus came as the fulfillment of the Promise. He is Abraham’s Descendent, through whom all nations are blessed. Thus, the Promise also takes precedence over the Law in our faith. The Law cannot give us the inheritance. Our inheritance comes from God’s will, and His will alone. Our inheritance comes from the Promise.